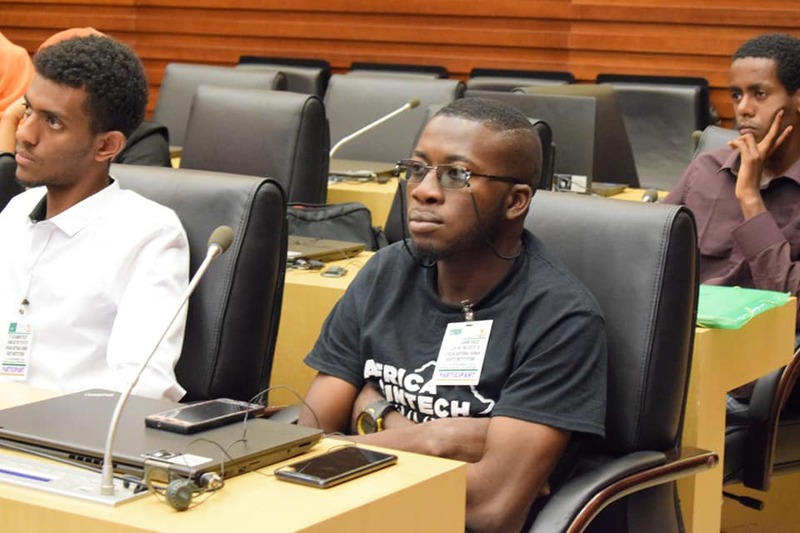 Femi Royal – Nigeria (ACFellow Cohort 1) presented his paper titled, “Leveraging Technology to boost Food Security in Africa” at African Union Headquarters in Ethiopia, Addis Ababa. 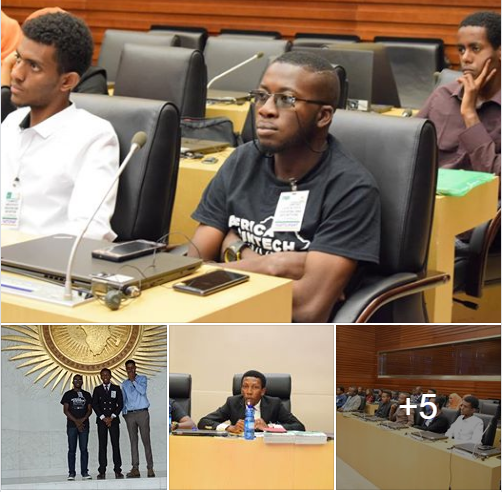 Today is one of the many important days in my life and career as I took a bold step to be physically present at the African Union Headquarters in Ethiopia, Addis Ababa not just as a visitor but as a development researcher presenting his findings to the representatives of Africa. Lets take a quick step back in time. In May of this year, I had just lost something huge which I will talk about in another post, it was a very sad time. However, during this time, I saw an advert on Opportunity Desk owned by Grace Ihejiamaizu to write a paper on any development issue and submit to the Young African Journal of Development led by Prince Ufoh. I spent 2 weeks writing in pains fueled by ulcer at Ayokanmi Oyeyemi house where I lived for a while when I was really at my rock bottom. Few months after, I got a congratulatory email that my paper was selected as part of the top 30 papers to be profiled in the journal. That was good news but launch was being fixed and postponed due to different issues till October. Fast forward to November, YALF announced that it had partnered with African Governance Architecture of the AUC to host us so we can share the content of our paper to the AU officials and the rest of Africa as it is believed that our ideas are trail blazing and capable of transforming Africa. So today, as I sat on that distinguished sit facing people from different countries of Africa presenting my paper titled, “Leveraging Technology to boost Food Security in Africa”, I made deliberate emphasis on the use of technologies like blockchain, soilless and ICT (drones, digital media, bots etc) and how they power Agriculture in Africa and I argued vehemently that, these technologies if widely adopted will deliver exponential benefits to smallholder farmers and most of all will be a good entry point for unemployed youths in Africa to earn income sustainably. (More details in my paper). “How come you don’t have a Master degree and you already published a globally relevant paper?” Sanya Timi asked me while sharing his congratulatory remarks and honestly I didn’t think about this but indeed, that’s true and I have reserved the story of my third failed attempts for a master degrees for another day. To be truthful, I have dreamed and wondered if a day like this will ever come but with God and wonderful friends, sponsors, colleagues, bosses and team members whom I will take time to celebrate in future posts, this has come to be and with all sense of humility, I am grateful to God and to you all for supporting me. Its a wrap, if you need a copy, just holla, will share to your inbox and I can borrow you the published hard copy for a shikini money, haha.